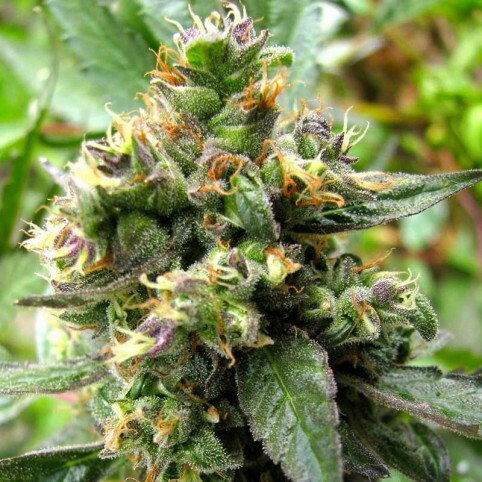 Trance is a special outdoor variety bred for specifically for Skunk lovers who want a true Skunk experience in a plant that can mature fully under outdoor conditions. Sometimes, with 100% pure skunk varieties bred for indoor grow conditions it can be difficult to get good results when the plants are grown outdoors. Dutch Passion hybridised a carefully selected Skunk with a tough Indica strain to create Trance. This is an F1 hybrid which has come out as a particularly good quality variety that matures earlier than most. Outdoors it may be fully ripened by the end of September or 2nd week of October. Plants may reach 1-1.5m tall and can produce large leaves. Occasionally the plants turn a remarkable and beautiful red colour and deliver an excellent quality high that lasts for 2-3 hours. THC levels are 12-13% which is ample for a top quality supply of weed which retains the genuine skunk taste and flavours. Mazar is one of the strongest and best varieties ever created by Dutch Passion. Our original Mazar i..